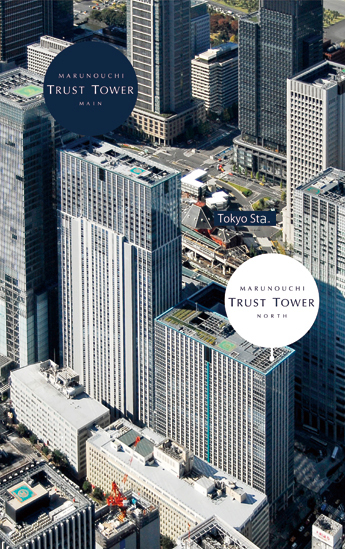 Marunouchi Trust City is a twin-tower project, and the first one, Marunouchi Trust Tower North, was completed in September 2003. The Second one, Marunouchi Trust Tower Main, has been completed in November 2008, which provides advanced and highly-functional offices and luxury hotel of an international brand. Marunouchi Trust City comes, with sophisticated and aesthetic design, to be a new symbol and landmark of the gateway to Japan’s capital city.